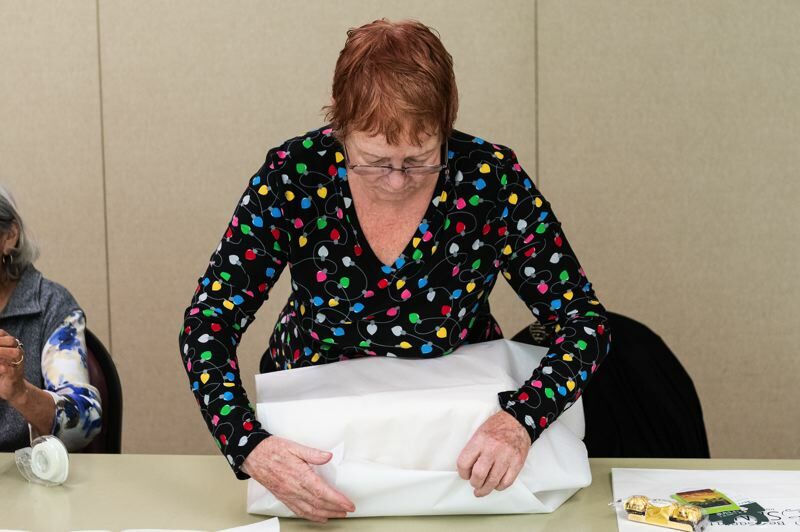 Home Instead's 'Be a Santa to a Senior' program held several wrapping parties this month. 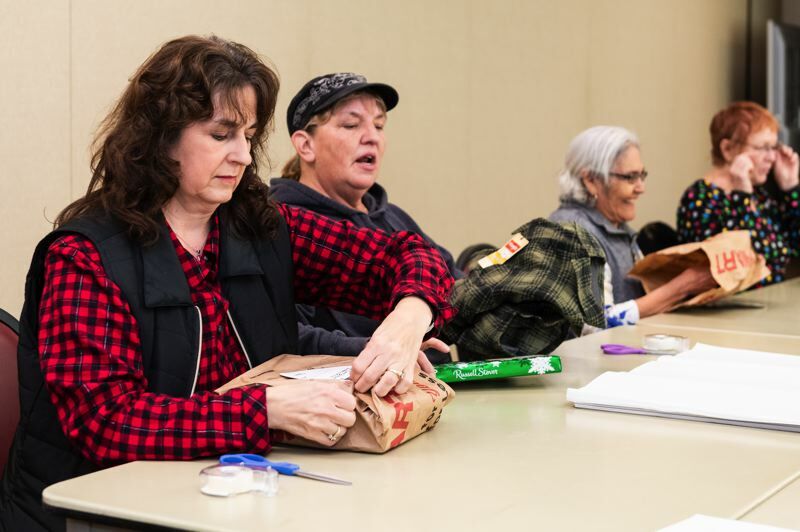 Volunteers helped to wrap gifts for seniors last week at the Forest Grove Senior and Community Center on Tuesday, Dec. 18. 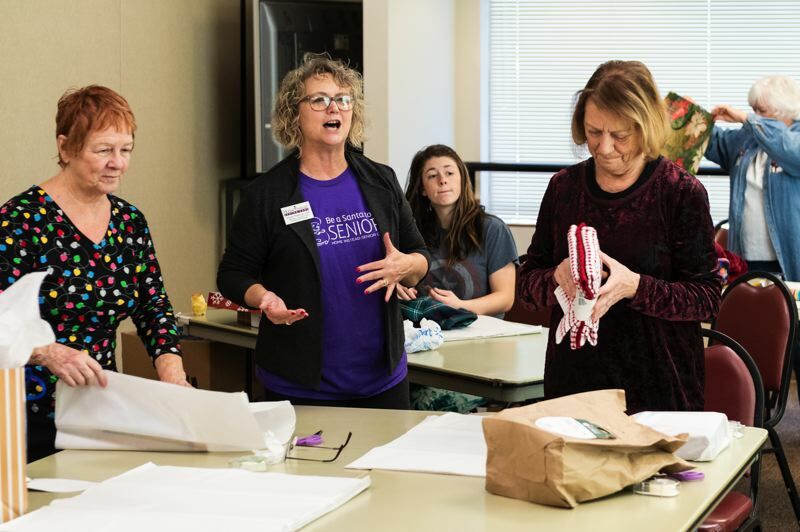 The gifts were then delivered to seniors in need across Columbia, Washington and Yamhill counties through Home Instead's "Be a Santa to a Senior" program. Home Instead partners with Meals on Wheels, which provides the names of the seniors in need and then delivers the gifts with the meals prior to Christmas. Over the past few weeks, community members were encouraged to purchase and donate gifts from the seniors' wish lists at local Bi-Mart stores. Locally, gifts are delivered to seniors in Hillsboro, Forest Grove, Vernonia, Scappoose, St. Helens, Rainier, McMinnville and Newberg. This year, 614 seniors received gifts through the drive.